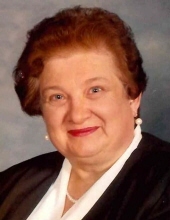 Janet M. Peterson, 77, passed away peacefully at the Fond du Lac Lutheran Home on April 2, 2019. Janet was born on November 14, 1941 to Alan and Margaret Schmidt in Milwaukee. She was united in marriage to Wayne R. Peterson on May 28, 1966. Janet was a homemaker, spending her time baking, reading, crossword puzzles and raising her two daughters, Christine and Karen. She also enjoyed time with her grandchildren, Trevor and Taylor. Janet was preceded in death by her husband of 41 years, Wayne and her parents, Alan and Margaret. She is survived by her two daughters, Christine (Shawn) Sopa of Waupaca and Karen (Doug Jacques) Letourneau of Fond du Lac; four grandchildren, Trevor and Taylor Letourneau and Sawyer and Shania Sopa; a brother, Warren (Ann) Schmidt; father-in-law, Don Reuter; and many other relatives and friends. SERVICE: Janet’s family will receive relatives and friends at Zacherl Funeral Home, 875 E. Division St., Fond du Lac on Monday, April 8, 2019 from 11:00 AM to 12:45 PM. A Funeral Service will follow visitation at 1:00 PM at the Funeral Home. Entombment will take place at Ledgeview Memorial Park Mausoleum. "Email Address" would like to share the life celebration of Janet M. Peterson. Click on the "link" to go to share a favorite memory or leave a condolence message for the family.